The Piaggio Group stand (Hall 3, R430) at this year’s Motorcycle Live event will host a fantastic display of Vintage Vespas – celebrating 65 of Vespa heritage – plus some key 2012 Piaggio & Vespa models. 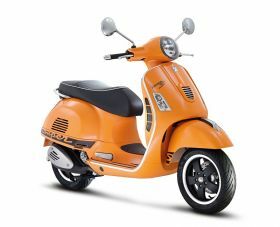 From Vespa, you can see everything from the legendary Vespa PX – complete with 2-stroke engine and twist-grip gear change – to the powerful and modern limited edition 2012 Vespa GTS300 Super Sport. In the Piaggio area the revolutionary new Beverly 350 SportTouring will be on display, featuring traction control, ABS and all-new 4-stroke liquid-cooled 350cc engine, built to offer the performance of a 400cc motor and the size, emissions and economy of a 300. 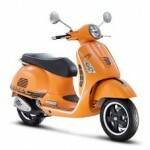 Plus you can see the new Yourban 300, the 3-wheeled 300cc scooter that you can ride on a car licence. • Ace Face’s Vespa GS 160 – British cult film Quadrophenia featured Ace Face (Sting) riding a modified GS 160. This stunning replica of the iconic bike used in the film features the same chromed side panels and matching accessories, including lights, crash-bars and mirrors. • Vespa 125 VM 2T 1954 – From 1953, 125 models were fitted with a full right-hand side panel – previous models featured a cut-out for the cooling fan. This lead to cleaner and more attractive styling and was made possible by the new Square engine which boasted a bore and stroke of 54mm. 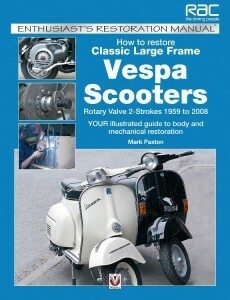 • Vespa SS 90 – In 1962 there was a change in Italian law – all of a sudden everyone over the age of 14 could ride models up to 49cc without a licence and the sub-50cc market boomed. 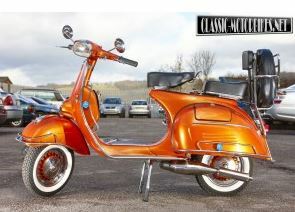 In 1965 the Vespa 50 Classic evolved into the SS 90, a model with a narrower front fairing, a specially designed exhaust and a spare wheel and carry-box between the seat and footboard.